Inspired by what the artist called “crystallizations of memories of the circus, folktales, and voyages,” Jazz brilliantly realizes Henri Matisse’s intuitive approach to art. He regarded his designs as chromatic and rhythmic improvisations, the visual equivalent of jazz music. 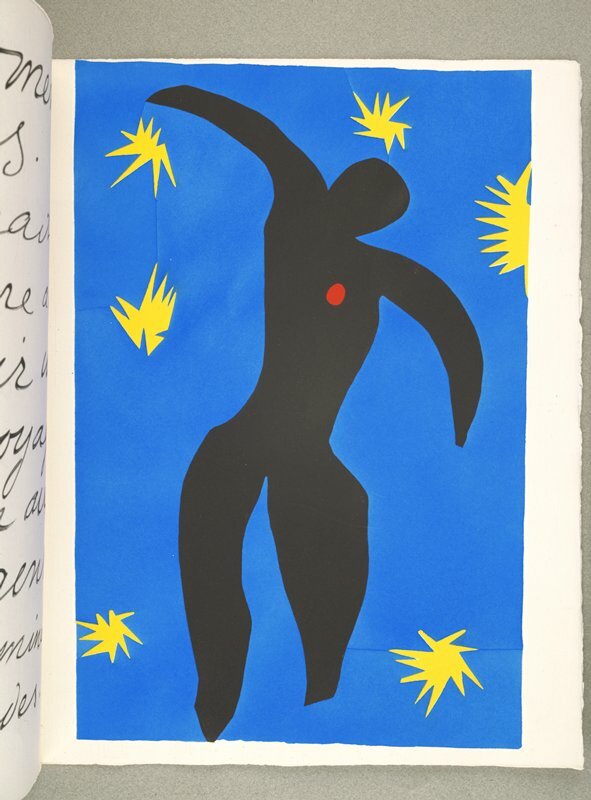 Matisse began working on the project in 1943 while convalescing from a serious illness. Since painting was too physically demanding, he turned his attention to collaged paper cutouts, a technique he invented in the 1930s as a way of developing ideas for his paintings and decorative commissions. He made his compositions by arranging shapes, forms, and figures cut from sheets of paper colored with vivid gouache pigments. The twenty compositions were translated into metal stencils that guided the hand painting of the edition. Bruce B. Dayton, Wazata, Minn.; given to MIA, 1982.